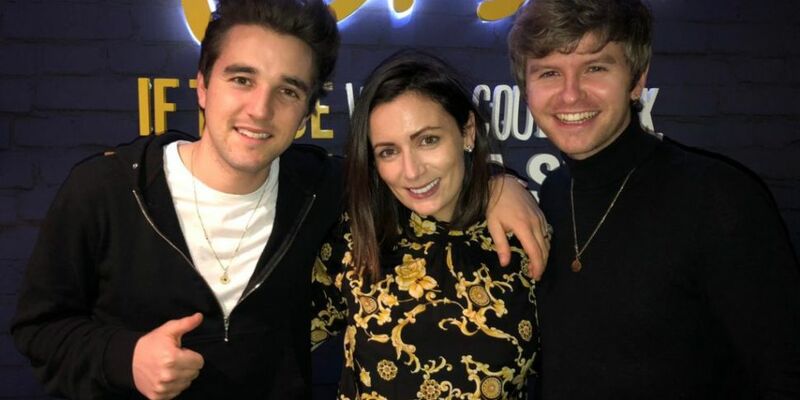 Fresh from releasing their debut EP 'The Last Goodbye', Wild Youth joined Louise Duffy in studio to celebrate by picking the tunes for our #PayDayParty! We thought it would be deadly to find some of the hottest musical talent and let them loose with the tunes of a Friday, it's like your own celebrity DJ set! We asked David and Conor to pick some floor filling tunes for the show and they chose wisely, they had just performed for our Fergal D'arcy and were in flying form. Check out the playlist, love how they switched it up for the hour with LCD Soundsystem, Mark Morrison & Biggie! Psycho Killer was chosen because it reminds the lads of a time when they worked together in a bar, the dj would always finish his sets with this track, and for them it meant the start of their fun! The Next Pay Day Party is on March 1st!